How Piaku! came to be… | Piaku! Those of you who already know about my blog (Hi Mom! Hi Jule! ), you know how I came to title it Piaku! It all started at the good old Indianapolis Zoo this past summer. The girls and I were being thoroughly entertained by all the animals in the Plains exhibit. It was a cool day, and they were out in full force. 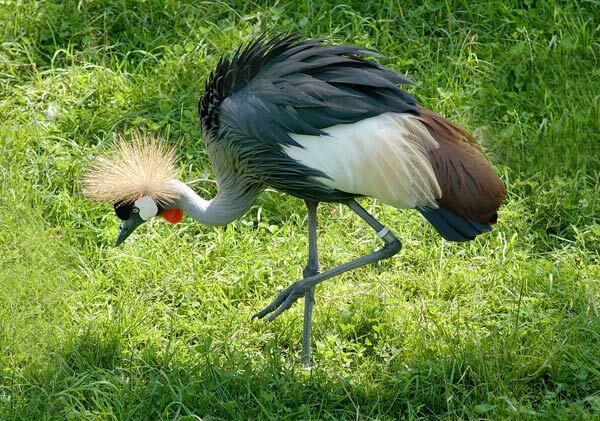 Well, Kae spotted some interesting birds – the official name of said birds, I believe, is the African Crowned Crane. Not to Kae. She decided that they were called Piaku!, and continued to loudly exlaim that the Piakus were everywhere! The Piaku were chasing each other! The Piaku were coming CLOSER TO US!!!!!! The decision of blog-naming was made then and there.